We already know your are Amazing in your own way! Now its time to share that wonderful story so others can learn, benefit, or be Inspired by You. Everyone has a Story, no matter what the topic, we can all help someone else in many ways. Whether you have dealt with loss, career change, inspire an up and coming Entrepreneur, met your soul mate, achieved a sports accomplishment, coming out, found your perfect home, dealing with children, family rituals, a best friend, the love of your pet, etc. It doesn’t matter the topic, the main thing is the story Inspires someone reading it in one way or another. No two stories are exactly the same so let it be YOUR story. The message you share could be just what someone else needs today! Please be sure to include the pictures and website you want to promote with your story, we love promoting other websites and accomplishments. The undersigned, as the creator, owner, contributor, participant, or producer of the narrative, story, pictures, or submissions submitted to HCM Lifestyle Inc. by the undersigned, all hereinafter referred to as work product, hereby irrevocably grants to HCM Lifestyle Inc., its agents, licensees, and signees, the sole right to publicize, use, reproduce, photograph, print or place on social media the work product in any manner whatsoever and in any name whatsoever. HCM Lifestyle Inc. has the right to refer to the work product or any part thereof by any fictitious name and the right to attribute any fictitious events occurring or referred to in the work product for any purpose that HCM Lifestyle Inc. may deem appropriate. The undersigned transfers and waives all of its right title and interest in and to the work product to HCM Lifestyle Inc. HCM Lifestyle Inc., its agents, licensees, assignees shall own the work product in perpetuity. Neither the undersigned nor any person claiming on behalf of the undersigned shall have any right of action including, without limitation, any right to injunctive relief, damages, compensation or monies against HCM Lifestyle Inc. or its agents, licensees, assignees and successors as a result of HCM use of the work product. 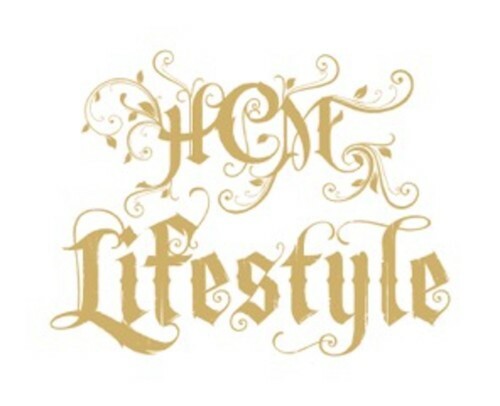 The undersigned irrevocably grants to HCM Lifestyle Inc., its agents, licensees, assignees the right in perpetuity, throughout the world, to publish and without limitation of the generality of the foregoing, to place the work product on social media with any website including, Facebook, Instagram, or Tumblr. The undersigned hereby assigns all rights to the work product of every nature and kind to HCM Lifestyle Inc. HCM Lifestyle Inc. is authorized without limitation to use the work product in any manner that HCM Lifestyle Inc. deems appropriate.